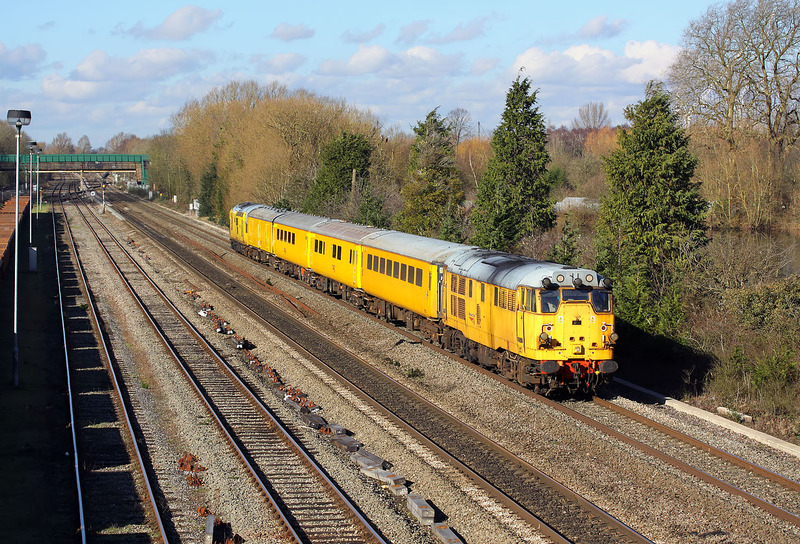 Definitely travelling at its booked 90mph, despite being just about the oldest locomotive on the national network, 31233 races past Hinksey Yard on 11 February 2016 with the 1Q04 09:52 Derby RTC to Derby RTC (via Reading) Network Rail test train. 97301 is bringing up the rear. As this is an easily accessible location with a perfect angle for the sun, I was surprised that there wasn't the usual crowd of photographers here.